What exactly do these terms mean? In 2003 I completed a medical textbook with the purpose of answering this question. As that text could not fully answer the question, my attempt here will be more than a little bit simplistic but hopefully worthy of your attention. Most essential to homeopathy is the philosophy inherent in the name homeopathy meaning “like suffering”. This principle is also called “the doctrine of similars” or using likes to cure likes. As an approach to healing, this method predates the birth of the “founder” of homeopathic medicine by millennia. Likes have been used to treat likes in many cultures for thousands of years. Hahnemann’s use of the principle as an essential component of his entire system was uniquely exclusive. In all other instances, the use of similars was only one part of a larger therapeutic system. Additionally, most often the use of similars was unintentional, founded on effectiveness not medical theory. Conventional medicine was labeled “allopathic” medicine by homeopaths nearly 200 years ago because the symptoms are so frequently identified as the problem without looking further into the patient’s health. This is actually misleading though because, conventional medicine includes many examples of what homeopaths would describe as “homeopathic” treatments. Radiation and chemotherapy are known to cause cancer. Ritalin stimulates patients who are already ‘hyperactive”. In small doses aspirin is used to reduce fever but in large doses it raises body temperature. 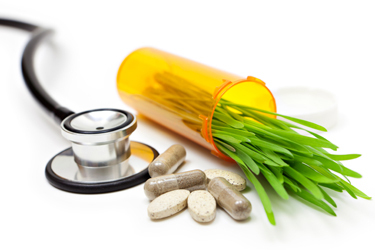 Similarly, herbal medicine as commonly practiced, includes both homeopathic and allopathic approaches. Hahnemann was a conventionally trained physician whose practice initially was identical to that of his compatriots. He was a critical observer though and soon recognized the harm that bleeding and using poisonous doses of mercury, arsenic etc was causing his patients. He quit practicing medicine for a time and earned his living translating medical textbooks. Malaria was a big problem in Europe at the time and the conventional treatment was the alternative medicine learned from the natives of South and Central America quinine. One of the most authoritative medical writers claimed that quinine worked, in accord with the ancient Greek theory, because it was bitter and astringent. Irritated by this uncritical thinking, after all other bitter and astringent foods did not cure malaria, Hahnemann took some quinine to test the theory. When Hahnemann took the quinine he was startled to experience the usual symptoms of malaria. When he stopped the quinine the symptoms disappeared. When he resumed the quinine the symptoms returned. Interestingly, we still have no conventional understanding of the mechanism of quinine action against malaria, only the homeopathic rationale. This experience echoed his reading from the founders of medicine. Hippocrates wrote to “let likes cure likes” and Paracelsus’ Doctrine of Signatures spoke of the similarity between a patient and the plant or mineral needed to cure his disease. Establishing the beginning of modern clinical pharmacology, Hahnemann began to test various substances on healthy people to learn what symptoms these agents produced. He then gave the medicines to patients based upon these indications. Patients did not present to the homeopathic physicians suffering from all of the symptoms each homeopathically tested medicine was known to produce. However, when they began taking the homeopathic remedy, temporarily they did develop these other symptoms. Hahnemann then decided to give the patients less of the medicines hoping to reduce these temporary side effects. At some point, for reasons he did not document, Hahnemann began to use a process of serial dilution and succussion (pounding the diluted remedy on a table). Paradoxically, it seemed to Hahnemann and to most homeopaths since that time, that these diluted medicines worked even better than the undiluted ones. As these dilutions are carried to an extreme, many physicians simply stop considering the possibility that homeopathy might be effective as soon as they learn of this method. While critical thinking is always wise, there is considerable clinical research evidence demonstrating effectiveness of homeopathy as well as basic science findings which might explain how these super dilute medicines could retain biological activity. Another principle of classical homeopathy is to use one homeopathic remedy at a time. Many remedies are made from complex natural sources containing many chemical constituents (whole plants for example). The remedy made from this complex source is tested as a whole entity. For example, calcium has many salts and remedies made from each of them have been tested on people to ascertain their characteristic pattern of symptoms. Phosphorus has one set of symptoms but Calcarea phophorica has a complex of symptoms all its own. The homeopathic remedies you purchase in a health food store are usually combinations of homeopathic remedies. They have almost never been tested to determine definitively what the indications are for their use. They are designed by guesswork based upon individual components. While they may work, and eventually some have demonstrated effectiveness in clinical trials as well as clinical experience, many homeopaths are uncomfortable with the speculative nature of this approach. 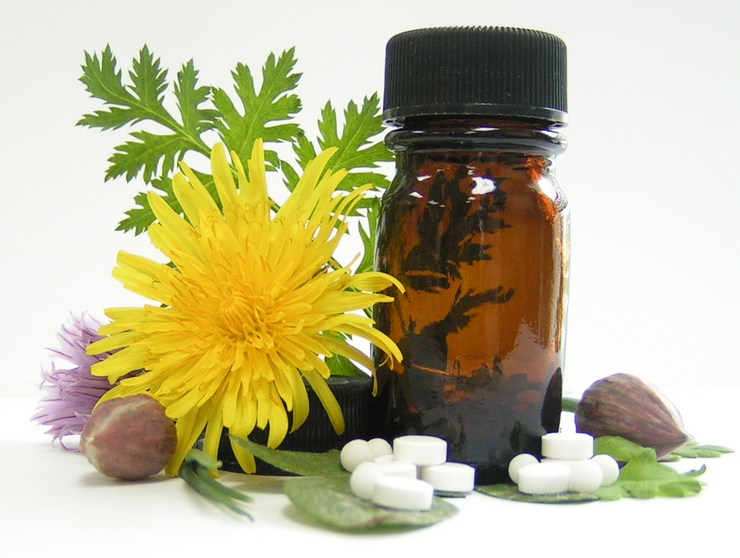 There are many options for those of you who wish to learn more about Homeopathy. If you feel up to reading a medical textbook, of course I think the new text I edited and principally authored is the best reference. 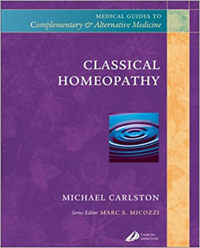 CLASSICAL HOMEOPATHY – Fundamentals for Health Professionals, 2003, Elsevier. My other favorites include books by George Vithoulkas, Jennifer Jacobs, Wayne Jonas, Dana Ullman and the husband-wife team of Judyth Reichenberg-Ullman and Robert Ullman. This question parallels the ancient, “How many angels can dance on the head of a pin?”. It is a tough one to answer. Very few people even accept the term “alternative” as the correct one to use. This word implies that it is different and “instead of” conventional medicine. Well, the reality is that only a small minority of Americans who use “alternative medicine” use it instead of conventional medicine. 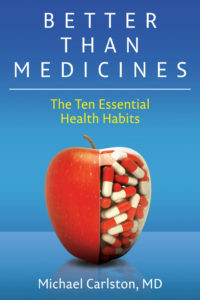 Most people use alternatives “in addition to” conventional medicine, or “instead of” when the problem seems better suited to the alternative approach. Sounds like brilliantly good judgment to me, and the reason I prefer the term complementary”. Conventional medicine has defined alternative medicine as “other”, as something different from what we conventional docs do. In one of the first big studies of alternative medicine usage, Harvard researchers defined alternative medicine as therapies not taught in conventional medical schools. When I conducted the first national survey of alternative medical education in US medical schools 4 years later, we learned that fully 1/3 of US medical schools were in fact teaching their students about alternative/holistic medicine. Only three years later 80% of US medical schools were teaching about alternative medicine. So the definition of alternative as “other” flew out the window as fast as it flew in. Another perspective on this is that the therapies we have defined as “alternative medicine” are what 80% of the world presently uses for health care. Furthermore, it wasn’t so long ago when all of humanity used these techniques for health care. How can a majority practice be labeled alternative? Is it just because of antagonism or does the term have meaning? While homeopathic physicians in the early 1800’s prescribed the same medicines used by modern homeopathic physicians, patients of “conventional” physicians were treated with blood-letting and toxic doses of mercury and arsenic. It seems to me that homeopathy then, looked more like today’s conventional medicine than did conventional medicine. I am afraid labels can be more political than enlightening. Probably the most important way of looking at healing therapies is by the criteria most important to patients – Does it work? Some then suggest using the label “conventional” for all therapies that have been proven effective and “alternative” for the others. As the majority of therapy we conventional physicians use in clinical practice is accepted to be unproven this division isn’t such a clean one either. In my opinion, these labels get in the way more than they help. When we try to use them to pigeon hole an entire approach to healing we choose to remain ignorant. Dogmatically assuming that something is good because it is labeled conventional or homeopathic is naïve. We have so much to learn and so much to gain by examining the process of healing. It is foolish to stick our heads in the sand and choose not to look. It is possible to make some generalizations about the full-fledged “systems” of complementary medicine. Homeopathy approaches patients wholistically and views symptoms as a functional attempt of the organism to heal itself. Acupuncture and Ayurveda view the patient’s disease as an imbalance of energies in the body and uses various means to restore that balance. The use of herbs varies tremendously throughout the world in therapeutic expectations of certain herbs and philosophic basis for clinical application. My first exposure to alternative/holistic medicine was probably my relatives’ use of a canning gelatin to relieve arthritis pain. Then in 1971 I learned about meditation and became a vegetarian. Since these first steps I have spent much of my life learning about various aspects of health. Those interests seemed incompatible with a medical career to some. 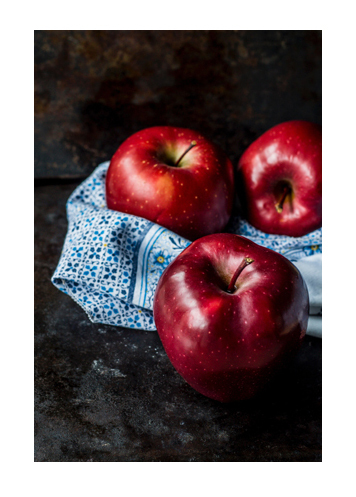 In college a guidance counselor discouraged me from applying to medical school because my interest in nutrition would be more appropriate for a nutritionist than a physician. My advisor, and Sanskrit Professor won out though when she insisted that, given my lack of ability as a linguist, medical school would be a great idea. My interest in alternative medicine created many challenges during my professional training and later in practice. I quickly learned to keep my interest quiet because of prejudicial attitudes from faculty and classmates. Never being one much for quiet I started a committee in medical school which organized elective training in “holistic medicine” which continues now 25 years later. It is gratifying to see the waning of those entrenched prejudices. In fact, oddly I find myself in agreement with the editors of the New England Journal of Medicine who wrote that there is not alternative and conventional medicine there is just good and bad medicine. As scientists we must investigate with open minds remembering that the patient’s well-being is all that matters.